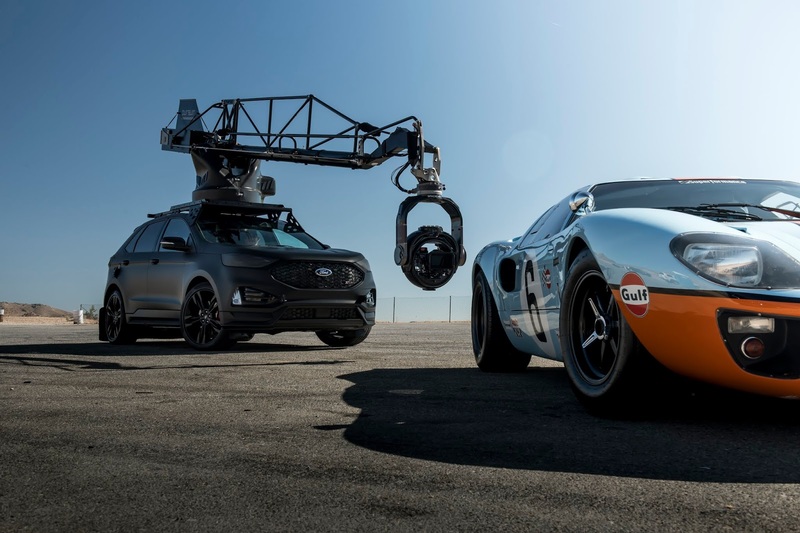 Ford and camera company Pursuit Systems have teamed up to leverage the performance and utility of the Edge ST vehicle to create a camera car designed to film high-speed chase scenes and other hard-to-capture action footage for commercial projects and upcoming vehicles. 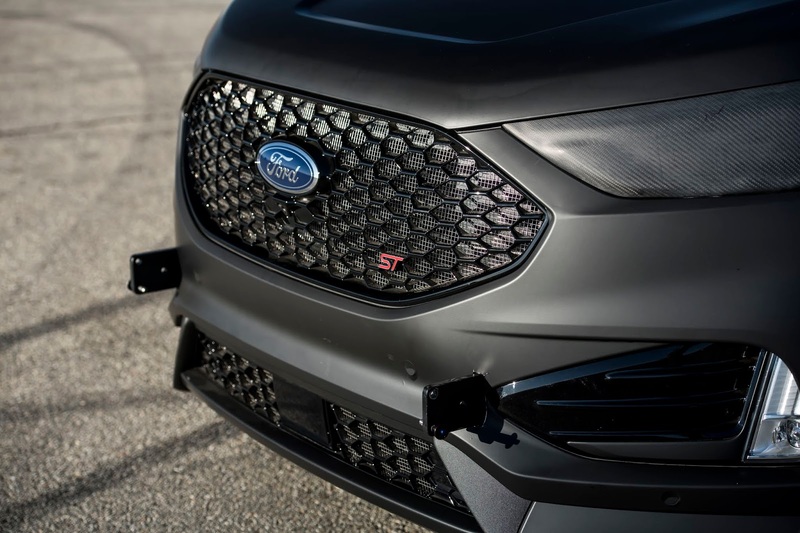 Pursuit Systems was drawn to the Egde ST for use thanks to features like its specially tuned, twin-turbocharged 2.7-liter EcoBoost V6 engine, quick-shifting 8-speed transmission and selectable traction control and ST performance brake system all made available in a midsize SUV package. 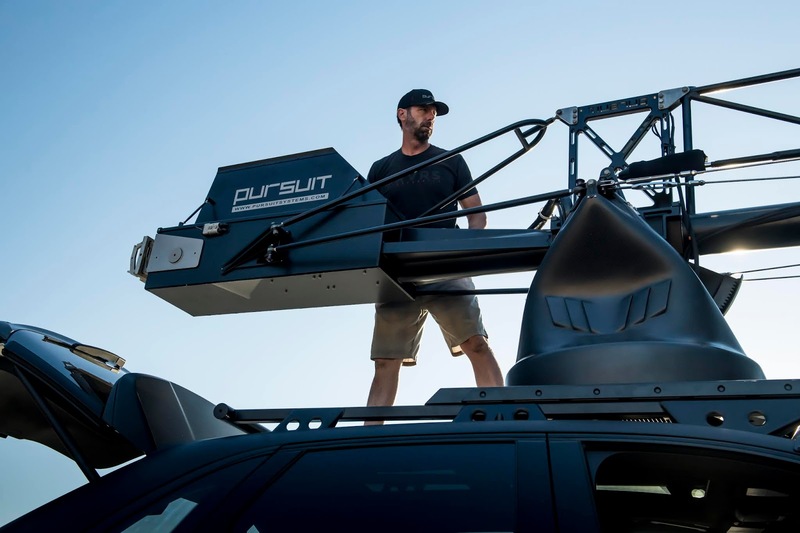 Transforming the vehicle into a camera car required addition of structural support to its roof for accommodation of equipment including the nearly 1,000-pound Pursuit Arm. 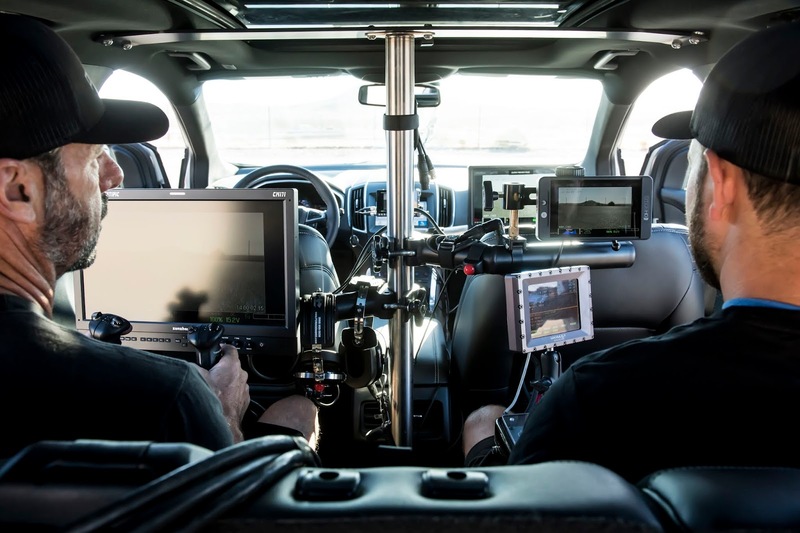 This arms is typically equipped with with a gyro-stabilized remote-control camera and can extend far away from the vehicle for provision of flexibility during film making. 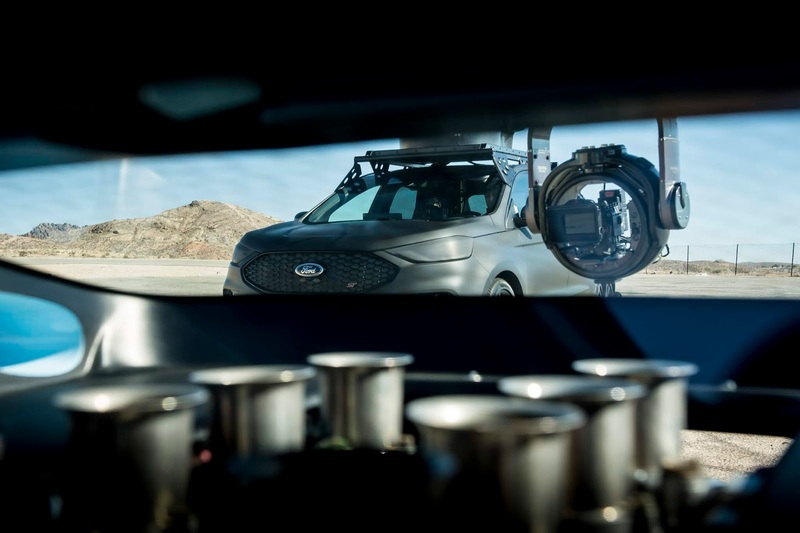 Conversion works include addition of roll cage support to protect passengers, interior removal to give room for film equipment, addition of wiring for video monitors so crew members can see footage in real-time, addition of individual-wheel air suspension to manage the weight increase, retuning of the twin-turbo 2.7-liter EcoBoost engine to counter the weight of the crane and other film equipment and wrapping of the exterior in matte black vinyl to prevent reflection on other vehicles. 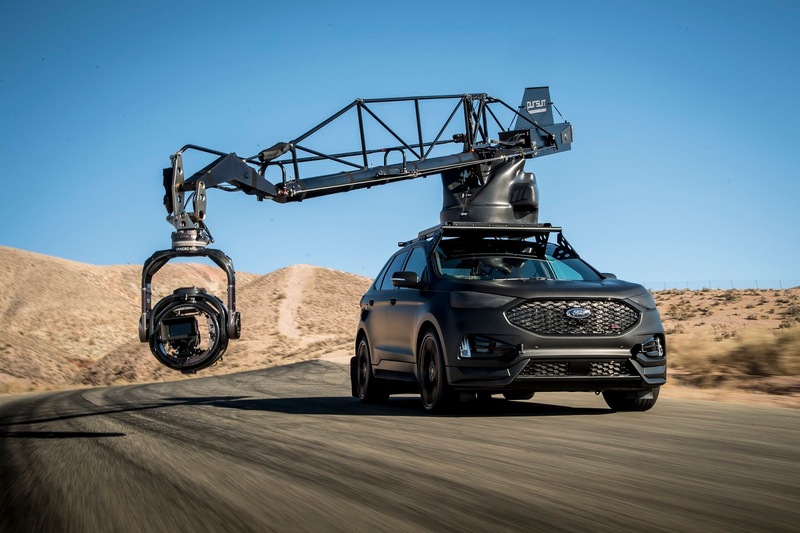 This camera car will be joining the Pursuit Systems collection of high-performance vehicles which also includes customized and converted BMW X5 M, Porsche Cayenne Turbo and Mercedes-Benz ML63 AMG models. 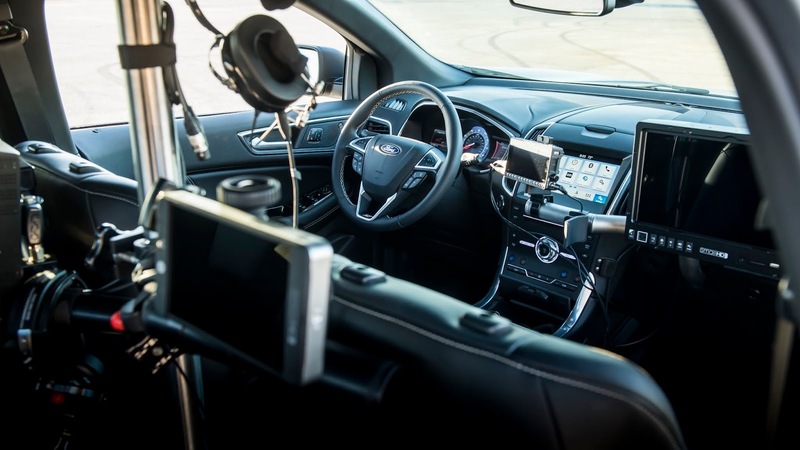 It's planned for use in future film and commercial projects.